When you are done reading Tupac lament his childhood, check out ‘Changes’ also titled, ‘Thats Just The Way It Is’ lyrics. Clearly, Tupac raps/writes about being a child victim of life-scarring abuse/neglect who matured into an angry teen/young man choosing not to embrace compassion or empathy for many of his peaceful neighbors. 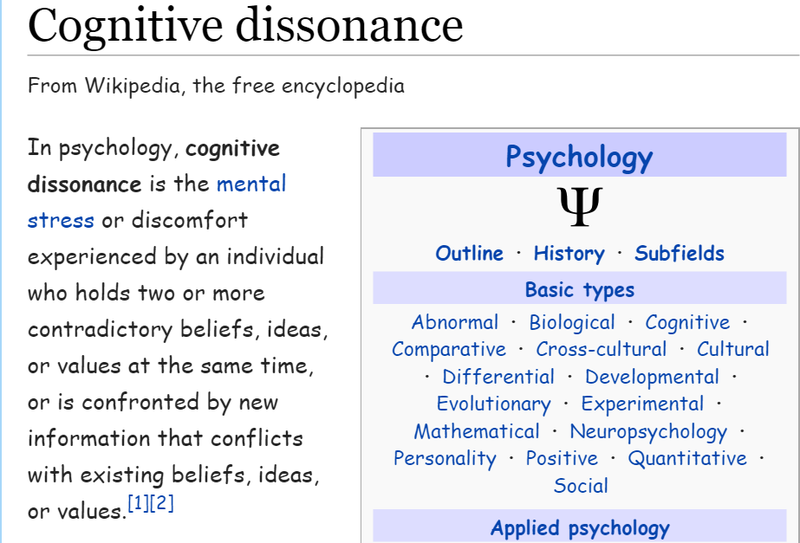 In many of his raps Tupac clearly communicates that his mind is tormented by “Cognitive Dissonance,” a debilitating mental condition Dr. Joy DeGruy, “a nationally and internationally renowned ‘violence’ researcher, educator, author and presenter” describes in her book “Post Traumatic Slave Syndrome,” and speaks about during her speaking engagements. Tupac’s writings are filled with hypocrisy, and the anguish he experiences when rapping/writing about harming people in his struggling community in order to survive the life he was introduced to by his substance abusing mom. 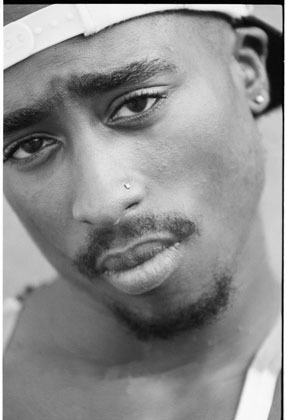 In his raps Tupac often directly or indirectly reveals he is a depressed teen causing pain to his neighbors because no one cares about the pain he is experiencing. In other raps, like Dope Fiend’s Diner, Tupac writes about selectively embracing the compassion and empathy most all humans are born with, while at the same time ignoring the fact that he is also a “dopeman” causing pain to his neighbors and community. I’ve met Tupac and Shawn Carter, I’ve also met their victims who were being treated in the rear of an ambulance, I’ve interviewed their victims in an emergency room, witnessed their victim’s autopsies. More than once I testified in court that I observed depressed, neglected, unsupervised young teens like Tupac/Shawn unlawfully possessing and using firearms to harm their peaceful neighbors and cause fear throughout neighborhoods they decide to invade, aggressively using their mack-millis to defend their turf. This is real life, the lyrics Shawn ‘Jay Z’ Carter writes depict real life he and Tupac lived. Which means they victimized real people. Sadly, a segment of the American public adulates and enriches teens/men like Tupac and Shawn Jay Z Carter for rapping/writing about their experiences with child abuse that caused them to develop into emotionally damaged teens and adults who too often physically harm or kill people that ‘diss’ them or attempt to impede their drug cash flow. Succinctly, the sad reality is many immature females are giving birth to children and irresponsibly building families before they have developed any practical skills or are emotionally prepared to deal with the challenges of raising, nurturing and supervising a developing/maturing human being. Believe it or not newborns, infants, toddlers, children and teens are being born and nurtured to a life of child abuse/neglect by caregivers who do not even realize they are committing life scarring acts of child abuse. This is a reality for many children that apparently many Americans from all walks of life decline to recognize or admit exists. Though until we open our eyes to the core reason some/many kids lack empathy and compassion, or willfully choose not to practice these essential human qualities >>>> irresponsible, immature mothers will continue to willfully or ignorantly subject society’s young to child neglect, maltreatment, emotional and physical abuse…as many have since the 60s when well-intentioned social policies opened the door to providing financial support to depressed people recovering from the pain of human ignorance known as racism. Is there someone who can help me interpret Mr. Shawn Jay Z Carter’s Rap performance lyrics? I think I understand the meaning of “producing G’s like sperm” Shawn Carter is rapping. I believe it means he and his crew are making more “G”angsters with irresponsible females..or maybe they’re making babies with females who were forced to submit to his crew through violence and intimidation? Both of which are reality. However I am totally lost about the “we do dirt like worms’ rap. Any help? Here is another Shawn Carter rap. Let me interpret. 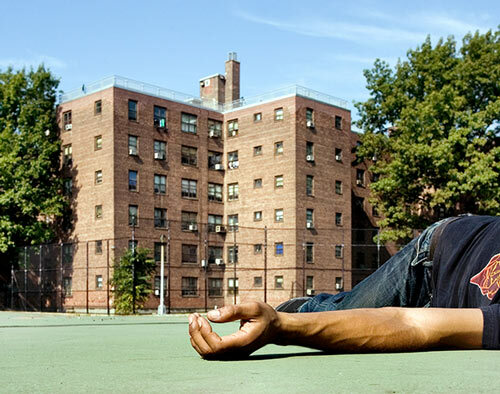 As Shawn Jay Z Carter and his crew were chillin’ in the Marcy Houses, a city owned housing complex of six story buildings mostly populated with depressed children born to depressed immature mothers, when a rival drug crew tries to murder Shawn Jay Z Carter and his crew. Shawn Carter and his crew of depressed teens/young men aggressively thwart the attack by whipping out their own arsenal of illegal handguns and semi-automatic firearms, actively defending themselves against the deadly attack from their drug rival/competitors. While the boys were trying to kill each other, mothers, grandmothers and aunts throughout the complex were grabbing their young, quickly ushering them away from the gunfire being exchanged outside their windows. A common, well-practiced routine in this housing complex dominated by teens and men who care only about themselves. Mr. Uriah Harper, a husband and father of two boys he struggles to keep in line with love and discipline, is walking up the subway staircase onto the street just as the gun battle begins. He ends up diving behind a parked car for cover just in time as the opposite side of the car absorbs several errant rounds from a mack-milli Shawn Jay Z Carter writes about. He twists his ankle, tears his new work uniform trousers and scrapes his leg pretty bad. Though Mr. Harper is grateful his boys will not be left fatherless, his wife burdened raising two children alone in a community populated with depressed, frustrated angry children, teens and young men. Mr. Harper is happy he survived and can continue protecting his children from the clueless influences of mothers who fail to properly nurture and supervise their children. Mr. Thomas Melendez, owner of the Bodega across from the Marcy Houses that Shawn Carter helped make infamous, and dangerous to the peaceful people living or working there, was about to exit his front door when three shots burst though his heavy reinforced metal storefront shield, shattering glass all over, injuring his baby daughter but not his wife who was waiting for Thomas to set the alarm because she was fearful of standing outside alone even for a moment at that time of night. The emotionally damaged couple spent several hours waiting in a packed ER while doctors tended to more serious injuries sustained by innocent victims of violence living or working in surrounding communities. After the gunfire subsides, which usually lasts around 30 seconds to one minute, the teens and adult men engaged in the battle for life flee to lick their wounds or celebrate, leaving behind the spectacle of a dead body for many of the Marcy residents to ogle at while grandma watches their children and babies. Though I observed some moms, whether night or day, prefer holding their newborns, infants and toddlers as they gather to watch the latest victim of violence, exactly the type of violence Shawn Carter writes about in his Raps. Not all moms leave their apartments to watch the post carnage show, a few like twenty-one-year-old Estelle Perkins remain hidden from view, preferring not to interact with her neighbors. Estelle is fearful for her twin five-year-olds, she hears the gunfire outside her window almost every night and wonders how she will keep her children from being shot, or becoming immersed in the Marcy Houses culture that mentally conditions children and teens to accept a life of pain and lawlessness. Conditioning that occurs when immature females build families before acquiring the skills and means to adequately provide for their children. Much like the mothers who birthed young men named Shawn Jay Z Carter and Tupac Shakur. Estelle is depressed, angry with herself for making choices that resulted with her living in the projects, fearing for her family’s safety on a twenty-four hour basis because of young men like Shawn Carter who were raised and nurtured by a person/people who failed Shawn, as well as their peaceful neighbors when an abused/neglected/unsupervised Shawn choose to sell poisonous, addictive drug to his struggling neighbors. In part I am writing about Shawn and his drug dealing friends to express my pain, the emotional pain I experienced from witnessing human atrocities and child abuse/neglect on a daily basis. Pain and fear that caused me to abandon/flee a community that for more than a decade I considered my second home. Seems many are jumping on the ‘victim bandwagon.’ I am going to join them. A friend who urged me to apply for the career pretty much prepared me for what was in store. Though he worked in an entirely different community then the community I was assigned to after completing my six month post academy field training. The community I was assigned to was filled with depressed, frustrated, angry people who were not shy about sharing these negative emotions with their peaceful neighbors, and the police authority trying to protect their peaceful neighbors. I literally and figuratively witnessed irresponsible teen and young adult mothers give birth to children they failed to properly raise, nurture and supervise. These children develop into angry, frustrated often unpredictable young people and adults who eventually commit anti-social acts causing the police to become involved. Honestly, I was prepared to deal with some degradation and violence when I chose to become a cop. Though what I witnessed during the nearly twelve years I worked in a predominantly black Brooklyn community became too much for me. The community flavor was adversely affecting me and after my life was seriously endangered by gunfire during a ride home one evening, I decided it was time to transfer to a more emotionally stable and physically safer community. I was a victim of the moms who fail to properly raise and nurture their kids. So were the peaceful people in the community that became my second home for a dozen years of my life. Leaving meant all the work I did to make me and my second home safer, all the contacts, informants and alliances I developed with the intention of protecting peaceful people, were worthless to me and the community after I transferred. I was a victim of witnessing hundreds of depressed, emotionally and spiritually malnourished children who on some level were victims of child abuse. Day after day witnessing the emotional damage and dysfunction many caregivers exposed their kids to, in some cases not even realizing they are committing real acts of child abuse and maltreatment, wore me down. Over the twelve years I served this community I witnessed one half of a generation of human beings being treated as though their lives had no importance or meaning. Frankly, I am damn glad I was not born in this community, and I am sad for many who are. A young mom called to report someone stole her boom-box radio. I enter her apartment, spy several children, some in diapers sitting on a couch, a half filled fifty-five gallon trash can in the middle of her tiny living room and what appeared to be human waste smeared on a wall. Does a mature responsible parent invite a law enforcement authority trained to protect children, into this type of environment? After I caused her kids to be removed from her custody with a extremely quick and easily dialed phone call, I wondered if she ever invited family and friends to her home and why they did not protect her children from harm? Today, I feel compelled to write about the abuse I witnessed, offering my experiences and theories for why some or many black children are extremely unhappy with the choices their caregivers make for them, and why many kids, teens, adults lack empathy and compassion that most kids are taught to embrace and practice throughout their lives. Because we love and respect our parents most kids do practice these essential human qualities, however, my writings focus on the kids who believe they have no reason to please the people who introduced them to a life of pain and struggle. 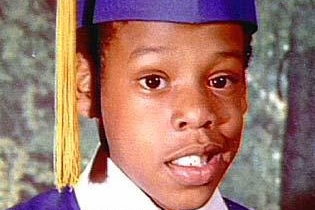 Today I look at Mr. Shawn Jay Z Carter, seeing a man who was old enough to know better, yet selfishly chose to live a lifestyle that terrorized many neighborhoods and harmed many people emotionally as well as physically. A anti-social lifestyle that promotes human prejudice and fear in many American communities. Today, I am totally, completely, utterly miffed that a man who raps/writes about causing tangible terror and destruction of human life for personal profit and to vent his anger while displaying/proving his dominance over others, can become a superstar in a society filled with educated people claiming to embrace a loving, peaceful God. What really irks me, Shawn Carter continues to promote hate and violence through the rappers he produces, promotes and collaborates with, while at the same time using the classic Al Capone misdirection, “Look at me I’m a generous guy helping the community” when Shawn donates to charities designed to uplift the same people he is harming through his violence and poison drug laced raps productions. I’ve ranted long enough, I apologize for my grammar, though before closing I have to point a finger….a somewhat frustrated, angry finger at my American neighbors, as well as entertainers and celebrities who do not take a critical look at the reasons why over the past thirty years or longer, some or many of my Motown friend’s children and grandchildren write rap performance lyrics characterizing their moms, sisters, grandmas and daughters as witches and bhores. Since when did it become acceptable to demean women this way? Tupac knew why, he was unafraid to expose his truths…sadly, it appears many people wish to ignore the truth about the Rap Hip Hop industry and continue cashing in on American people’s lack of understanding of what American Rap artistry truly represent..the effects of child abuse/neglect. There is no “Statute of limitations” for murder. An unsolved murder a person witnessed as a teen is still an open case and the person(s) responsible can be prosecuted. with what kind of eyes are you looking man..